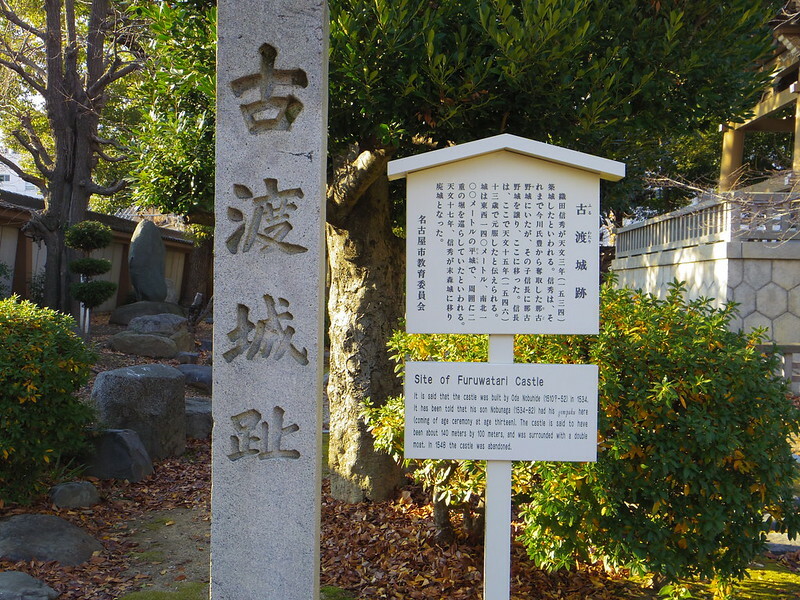 It is said that the castle was built by Oda Nobuhide (1510?-52) in 1534, It has been told that his son Nobunaga (1534-82) had his gempuku here (coming of age ceremony at age thirteen). The castle is said to have been about 140 meters by 100 meters, and was surronded with a double moat. In 1548 the castle was abandoned.